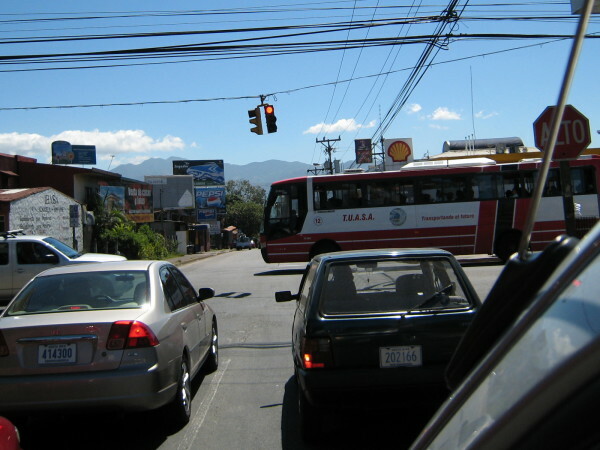 It doesn’t take long to realize that there is a different code of the road in Costa Rica (at least everyone who has survived to tell about it figured it out in a big hurry). The first clue will come when you notice the behavior of drivers at intersections. Check out a few cars at a few corners and you soon catch on that traffic controls carry one less level of authority here. The octagonal red sign with “alto” printed on it translates as stop, and in some places that’s what drivers do when they encounter one. In Costa Rica however this sign means slow down, proceed with caution, in other words the same thing that a yield sign means in the rest of the world. In a similar fashion a red traffic light often seems to mean pause then proceed if there is an opening. Sounds suspiciously like a response to a stop sign in the rest of the world. Oddly the government seems to conspire in this behavior; they have even invented a new traffic control that is used all over the country. It is a traffic light with a stop sign at the same intersection. The combination of devices seems to carry a higher level of authority. When the light is red, and there is a stop sign present, drivers stop and wait for it to turn green before proceeding. When the light is green the stop sign seems to be reduced to the normal meaning of a yield sign. Do not stop at a stop sign with a green light or you’ll probably be rear ended. At first, intersections like this one are disconcerting. If you didn’t notice there is a traffic light and a stop sign. According to recent newspaper interviews with the department of transit and the highway patrol it is also permissible to simply drive through red lights without even slowing down if it’s after 10:00 pm and the intersection appears to be clear. In 2015 red lights were officially given the green light when it was reported that the director of highway safety announced that there would be no enforcement after ten pm and drivers should make their own decision about whether it is necessary to stop at all when a traffic light is red. One way streets are very common and sometimes marked with an arrow showing the direction of travel or a sign saying “No Hay Paso” (do not enter). Sometimes you just have to guess. Typically streets in downtown areas alternate direction and if the previous intersection was one way to the left the road you’re approaching will be one way to the right. Parked cars are not necessarily a reliable clue to allowed directions of travel since you can be on a two-way street and still see parked cars facing you on both sides of the street or on a one way with cars facing both directions. 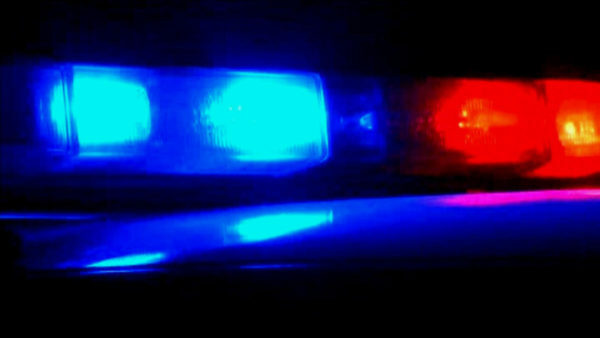 You thought you were the only one on the road then suddenly out of nowhere there are red and blue flashing lights in your rear view mirror. Of course you don’t have the faintest idea what the speed limit actually is because it bounces up and down like a yo-yo and your stomach sinks as you realize there’s probably a speeding citation in your future. Fortunately for you in Costa Rica the flashing lights often don’t mean anything at all. Police and especially ambulances nearly always have their lights on. I’m pretty certain the only time I’ve seen an emergency vehicle without flashing lights was because the bulbs had burned out. Historically the police didn’t have vehicles capable of overtaking speeding drivers (picture two large uniformed officers on a 125cc motorcycle – remember the movie “Dumb and Dumber”?) so they developed a technique of waiting in the shade by the roadside then stepping in front of the offending driver and and waving them over. Occasionally an officer is run over and killed but the technique persists. “Keep Right Except to Pass” and “Slower Traffic Keep Right” seem to mean the opposite in Costa Rica. The slower a vehicle is moving the more likely they are to stay in the left lane. If you want to get around that mango truck when a passing lane appears on a hill you better be ready to pass on the right. Left and right may also be confused with straight ahead. In the U.S. and elsewhere an arrow pointing up is used to indicate straight ahead. This concept is foreign in Costa Rica where you’re more likely to see a sign with a left or right arrow indicating which direction you will turn after you’ve driven another 15 km straight ahead. It still confuses the crap out of me and I take the next turn even though I know it’s wrong. 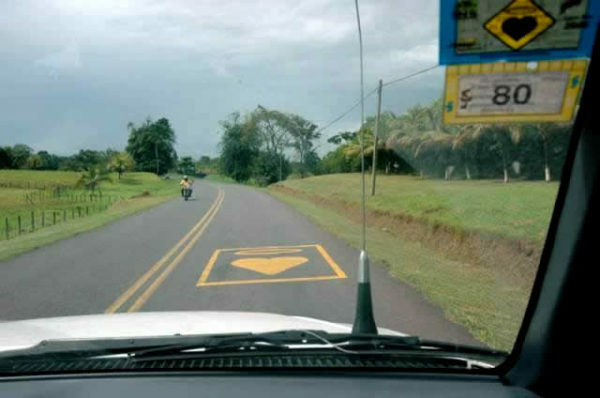 One reader wrote in that they had determined that the most likely function of double yellow lines down the middle of the road in Costa Rica was to indicate a teeny tiny little motorcycle lane. Double yellow lines have little impact on whether drivers will try to pass or not so expect oncoming traffic in your lane – always – everywhere. 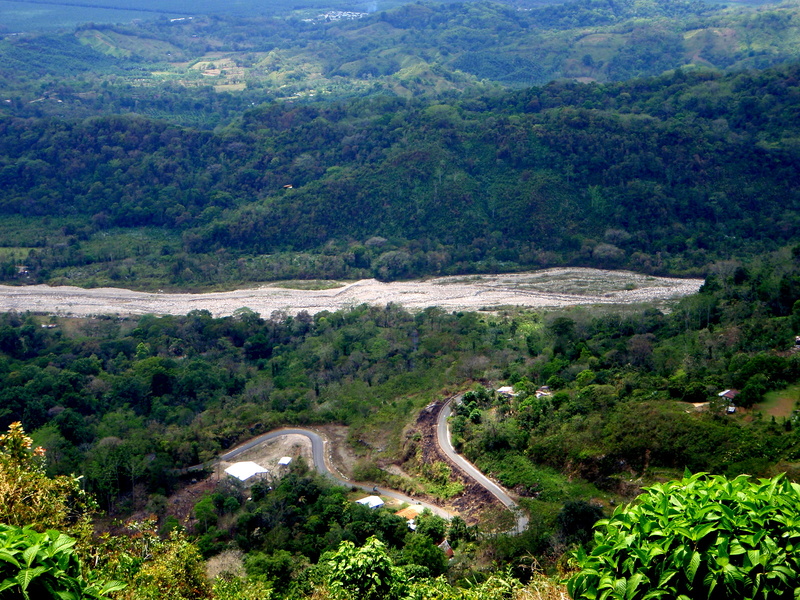 Many of the roads in Costa Rica are narrow and winding, and they can be quite dangerous. Buses in particular are notorious for passing on blind curves, and guardrails are few and far between. If you hear honking on a mountain road it may indicate that someone is coming at you, in your lane around the next curve. Fog and heavy rain frequently reduce visibility. This insane behavior has decreased slightly in the past few years since a new law was passed setting the fine for illegal passing at about $800…per vehicle passed. If oncoming traffic flashes their headlights it means there’s either and accident, landslide or speed trap coming up and you should slow down. If you see a branch or pile of sticks laying in the road, slow down! This is the Tico version of a road flare and indicates danger ahead. Sometimes this danger can be as serious as a missing bridge over a 200-foot drop. Although a law was passed ten years ago setting a $500 fine for not carrying a reflective triangle in every vehicle you’re still likely to see a pile of sticks. A branch or pole standing beside the road and topped with an old boot, pop bottle or rag is a semi-permanent warning that the pavement is eroded and part of the lane has fallen into the ravine. Slow down and be prepared to yield to oncoming traffic if necessary. It’s been estimated that (especially in beach areas) at least 1 out of 5 drivers on the road on weekend evenings are legally drunk. Weeknights it drops to about 1 out of 20. Since 2004 a government sponsored program has COSEVI (the highway department) paint giant yellow hearts topped by a halo in the road at the site of fatal traffic accidents. They use the same painted heart but without the halo and crossed with a diagonal band representing a seat belt to remind drivers to buckle-up. Do I Need Four Wheel Drive in Costa Rica?